Build the most luxury harbor and have fun managing the most exotic problems while running it! Act on your visitors’ desires to earn money during their stay. Do what you can to keep them entertained: offer scenic tours, fishing excursions, start a diving school or convince them to stay in one of your bars, restaurants, hotels and resorts. The more money you make, the more facilities you can build. But beware: when your harbor expands and gets more visitors, more attention is required to keep everything running smoothly. Will you still stay in control in case of emergencies? Send out your rescue teams quickly when your visitors become sick, or your bars catch fire. It’s up to you to either create an efficient and lucrative harbor or go for the most beautiful marina in the world! 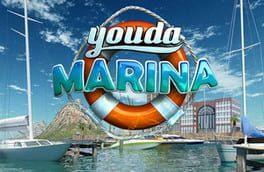 Youda Marina is available from 6.18 to 6.18 from 1 shops.